Want to have a once in a lifetime party? The Pirate Ship carnival ride for rent will rock any party. The gondola-shaped large boat can accommodate participants of any age and can swing up to 66 feet in height at a 75 degree angle. 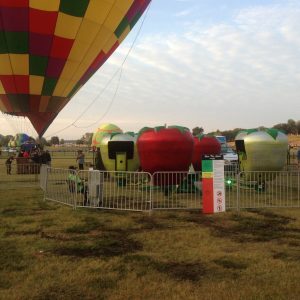 Jumper Bee’s newest mechanical ride is ideal for festivals, corporate events, picnics and school events. Plus, this amazing ride can fit a variety of themes, from Pirates of the Caribbean to the Lost Treasure or The Mighty Vikings. 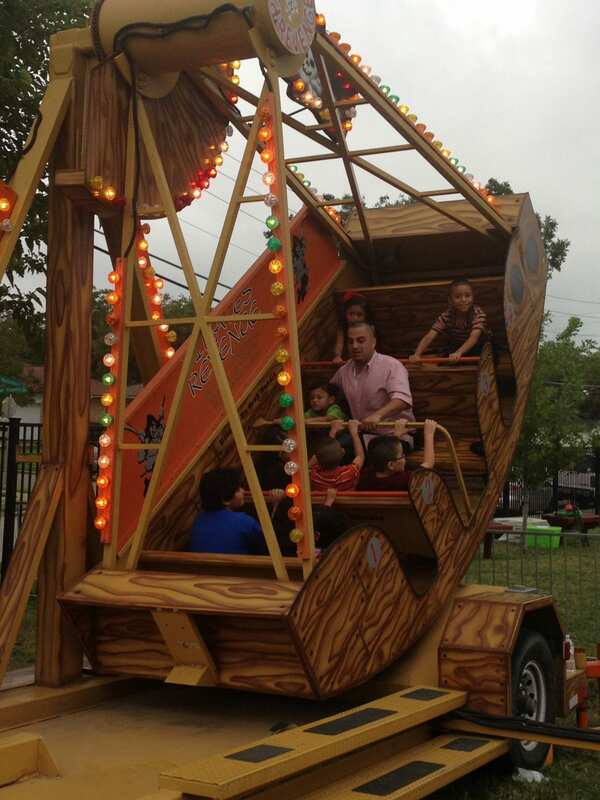 Up to 12 kids and adults can ride with their friends in this Pirate ship swinging carnival ride. Popular at many fairs and amusement parks, the pirate ship consists of an open, seated ship which swings back and forth, subjecting the rider to various levels of angular momentum. 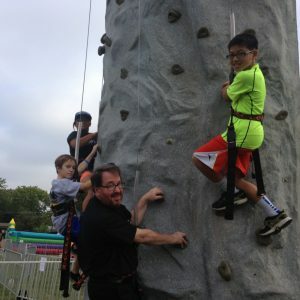 The height of the ship’s swinging is controlled by our operator, so the ride can be geared toward the little ones or pushed higher for older kids and adults. Includes ride, safety fencing, and 1 attendant. Jumper Bee always puts your safety first! Thus, the Pirate Ship carnival ride for rent is ideal for pumping your adrenaline and keeping you safe at the same time. 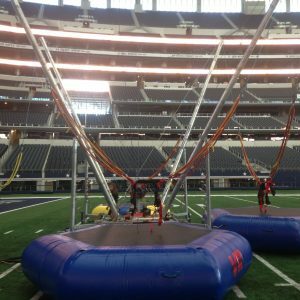 Whether you are a fan of pirate movies or an adrenaline lover, we can guarantee that our mechanical ride is the secret sauce of any successful Texas party. Get in touch now and let’s plan your amazing adventure together!